The European Medicine Agency has begun to release to the public data on clinical trial via their own website. The first drugs they have given details upon are Kyprolis (carfilzomib), produced by Amgen, and Zurampic (lesinurad), produced by AstraZeneca. The move to make drug data more transparent has been a long process, perhaps reflected by the first batch of data only including two drugs. With that said, just the two drugs released run to 100 clinical reports that contain a combined 260,000 pages. 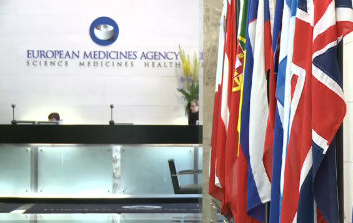 The release makes the EMA the first major drug regulatory agency to publically release documents submitted for the approval of drugs to market. The original announcement to make the clinical trial drug data process more transparent was dated back to 12 June 2014. Understandably, there has been some resistance within the industry to having all details released. At present, clinical trial data released for publishing in scientific journals is not complete and contains only the information that the pharmaceutical companies wish to disclose. Going forward into the future, the EMA plans to publish the reports on clinical data 60 days after a decision on a particular drug has been made or within 150 days of receipt of a letter of withdrawal. There are plans to release as much 4,500 clinical reports per year. Considering the volume of data from just 100 reports, this could potentially mean a lot of data and a lot of work for the EMA. Vytenis Andriukaitis, European Commissioner for Health and Food Safety, said "Transparency is an essential component in clinical research. Its outcome – whether positive or negative – should be made publicly available. EMA's transparency initiative will make Europe a true front runner with respect to release of data concerning clinical trials. It will create a bridge from now until the new Clinical Trials Regulation - which foresees additional milestones towards transparency, becomes applicable."